Before using the computers and Internet service, patrons must read both the Computer Use Policy and the Internet Use Policy. The Kinderhook Memorial Library provides access to a wide range of services and materials through the use of public access computers. The library hopes to satisfy its members’ recreational and practical interests with the use of emerging technologies and provides access to library and community information, the Internet, various software programs including word processing, spreadsheets, and presentation and desktop publishing programs. There is no charge for use of the library’s computers. Computers connected to the Library’s network have antivirus software to provide automatic protection against computer viruses. If the software identifies a virus, the computer will attempt to clean it and will delete if necessary. The library is equipped with wireless access that allows patrons to use their laptop computers in the building. Wireless access users are not able to print in the libraries. The Kinderhook Memorial Library is not responsible for any damage that may occur as a result of conditions beyond our control such as computer viruses, electrical malfunctions, power surges, etc. Computer users are bound by local, state, and federal laws relating to copyright, security, obscenity, materials harmful to juveniles and other laws regarding electronic media. Illegal acts involving library resources may be subject to prosecution by local, state, or federal officials. Computers may not be used in a manner inconsistent with the library’s tax exempt status or its proper operation. Users may not operate a business or distribute unsolicited advertising. Users may not copy software using library computers. Users must not attempt to damage any computer equipment or software. Users may not make any attempt to alter software configurations. Users may not invade the privacy of others. Users may not engage in any activity that is libelous, harassing, or maliciously offensive. Users may not use the library’s workstations as a staging ground to gain unauthorized access to the Library’s networks or computer systems or to any other network or computer system. With the exception of headphones and USB storage devices, hardware and software other than that provided by the Library cannot be attached to or used with Library computers. The library reserves the right to limit or revoke library privileges including computer privileges and access to its computer resources. Misuse or unauthorized use of library computers and information resources may result in revocation of library privileges. If such action is taken, the customer will be informed by letter from the Library Director. Users under the age of 10 must be supervised by a parent or designated adult while using the computers. Minors who abuse computer policies will first receive a verbal warning. If problem behavior continues, the Director of the Library will send a letter requesting a conference with the parent or guardian of the child and library privileges may be revoked. In order to provide fair and equitable public access to computer-based resources, the library employs time limits, printing, and management of computer equipment through the use of a computer software program called SAM (Smart Access Manager). Computers are available for public use on a first-come, first-served basis. Kinderhook Memorial Library patrons with valid cards can log in on public computers using their library card numbers and PINs. A Visitor Card is available to those individuals who are visiting the Kinderhook/Stuyvesant area for a short period of time and can provide identification with their permanent address. A visitor’s permanent address must be outside the Mid-Hudson Library System service area. Use of computer workstations is limited to a total of two hours per day in one hourblocks to ensure that the maximum number of customers will have fair and equitable access to the computers. Users must send materials to the printer before the Library closes or before their session ends. Warnings are provided on the computer screen at 5 minutes, 3 minutes and 1 minute before the session ends. Work can be saved to the user’s removable media, e.g., recordable CD, or USB storage device. When a patron’s session has ended, their work may no longer be available on the PC. Users may not use sounds or visuals that disrupt other library patrons. Payment is made by deducting the cost of printing from a balance carried in the customer’s SAM account. Money may be added to a computer user’s account at the circulation desk. Visitors may also pay for their copies at the circulation desk. 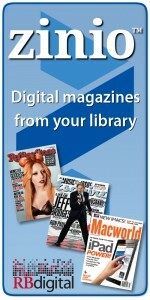 Computer users can use their own paper in the library printer if they need other than white paper. The charge is the same as for printing on the library’s paper. USB storage devices are available for purchase at the circulation desk for $12.00 each. Library staff is available for general assistance in using the computer. However, staff is not expected to train patrons in the use of application programs. Library staff provides limited assistance for basic start-up procedures, but cannot offer in-depth personal instruction in the use of a personal computer or software applications other than the Library’s own automation software and electronic databases. In general, the role of Library staff is that of helper, facilitator, guide, or coach. Any patron who needs more than basic assistance and guidance is encouraged to register for a one-on-one tutorial. See staff at the circulation desk for details.